Description: A free customizable six topics template is provided to download and print. 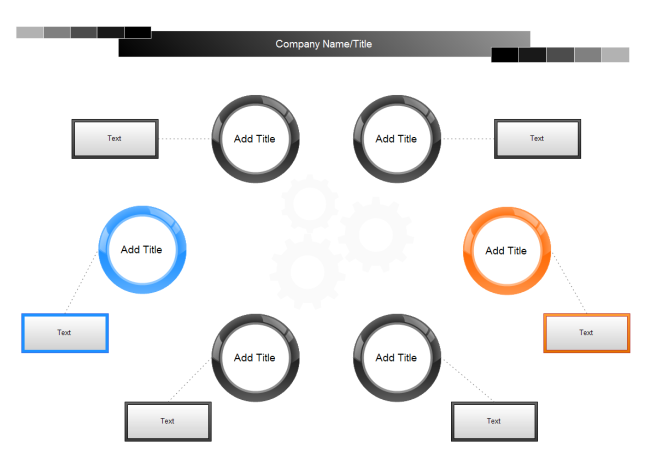 Quickly get a head-start when creating your own six topics diagram. You can directly add titles and text to the shapes without inserting text block, which is much more convenient compared with PowerPoint. The highlight shapes will help create attractive process diagrams to make your audience impressed.